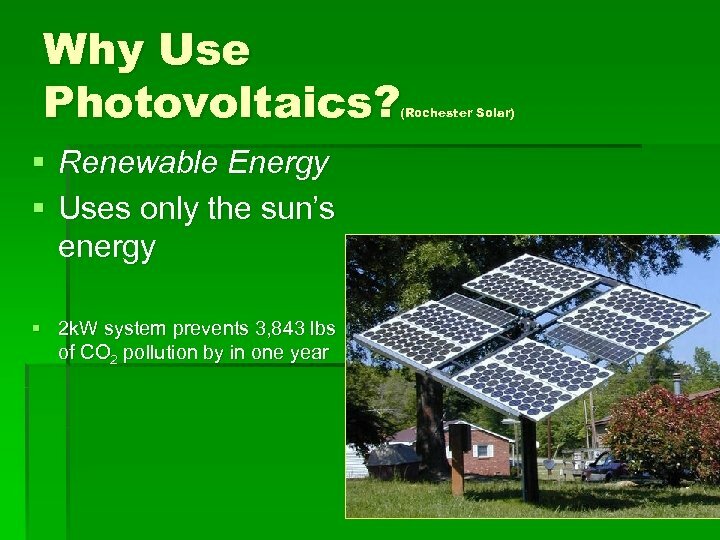 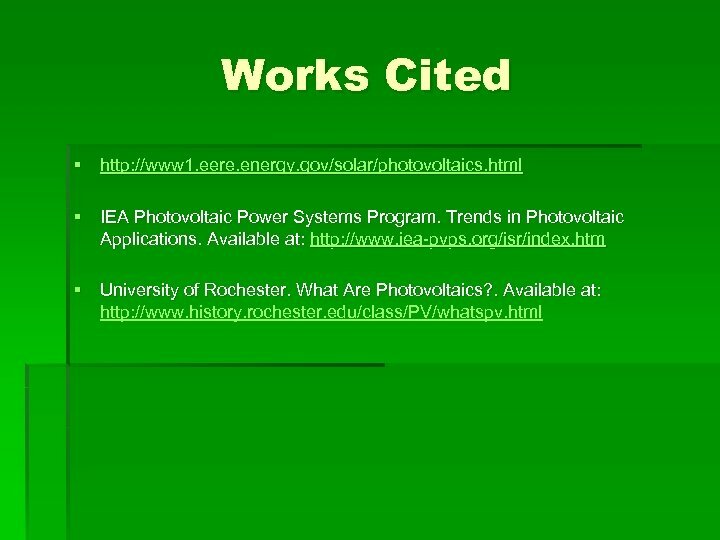 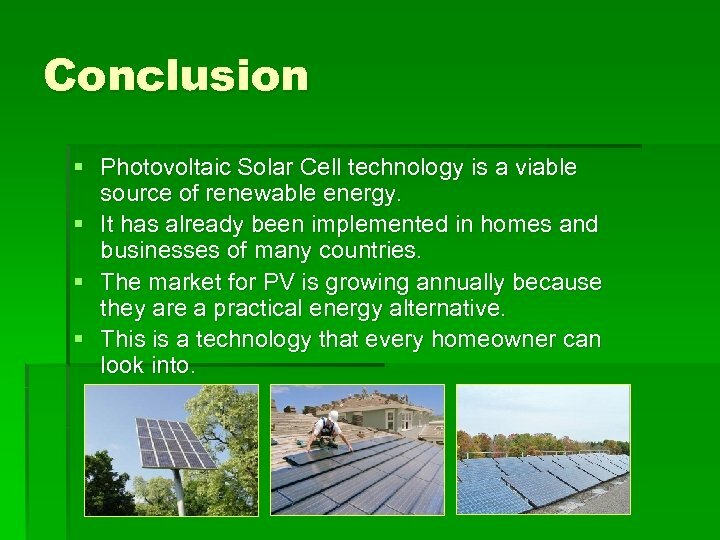 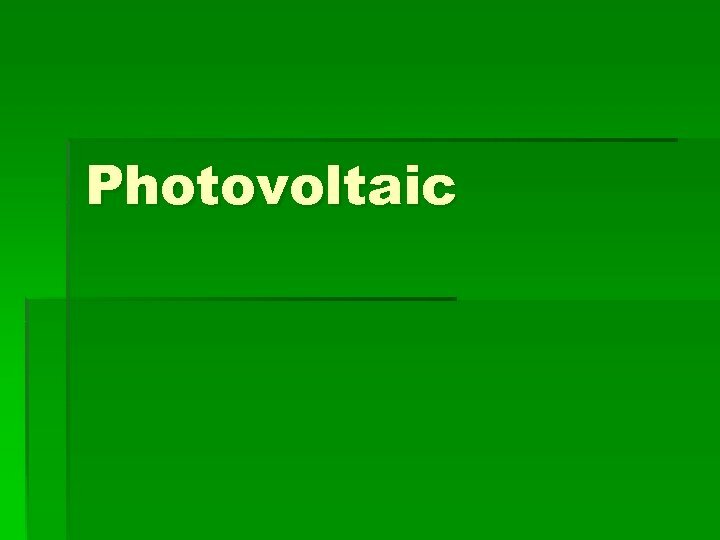 Conclusion § Photovoltaic Solar Cell technology is a viable source of renewable energy. 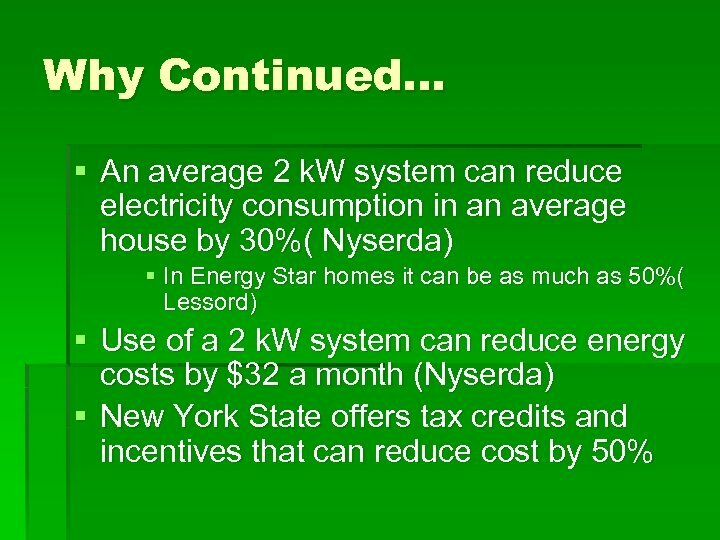 § It has already been implemented in homes and businesses of many countries. 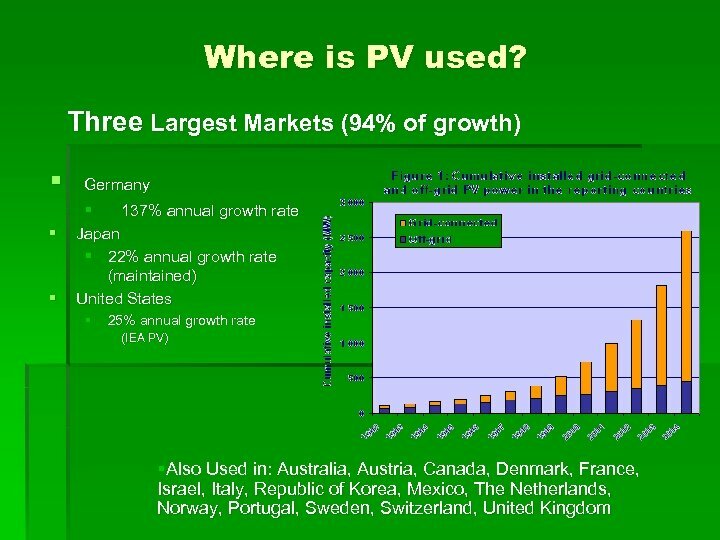 § The market for PV is growing annually because they are a practical energy alternative. 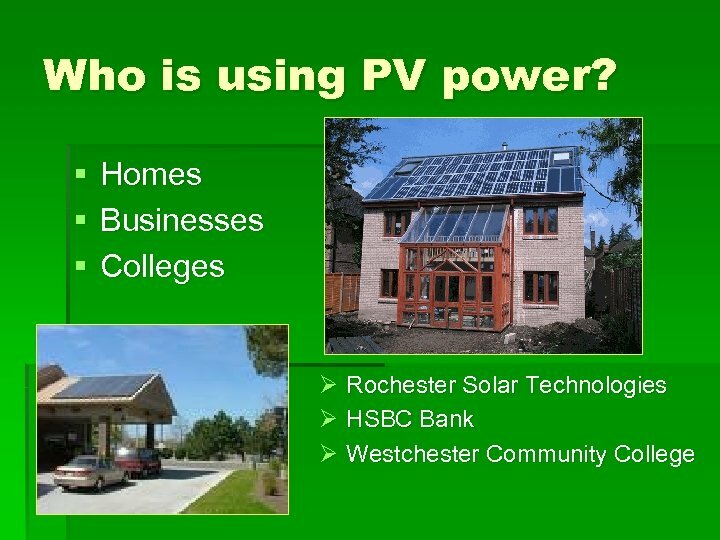 § This is a technology that every homeowner can look into.